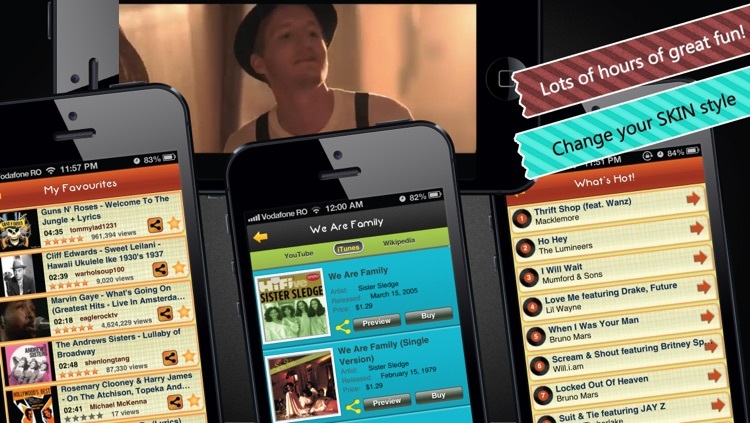 Music Hits JukeBox is a FREE app that gives you a very easy way to find out the best music of all times. 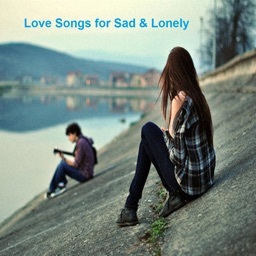 ♥ appsummary.com "Why? 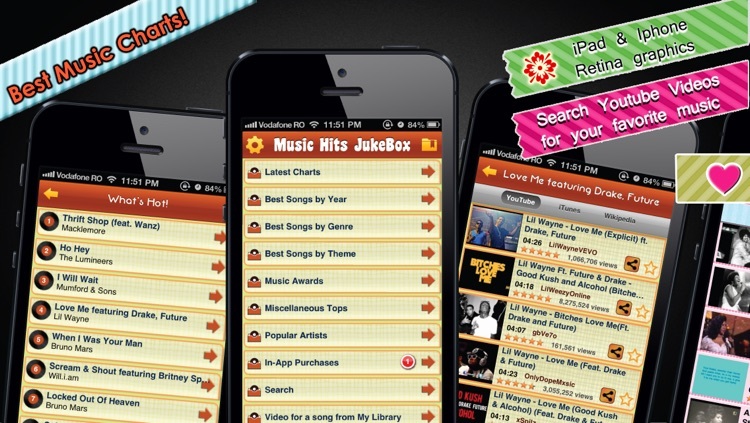 Music Hits Jukebox is a big, free, steaming pile of fun." ♥ www.applicationiphone.com "Music Hits JukeBox really seducing"
♥ LEDERMAN "Don't think twice. 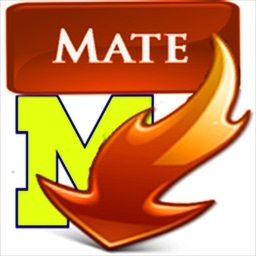 This app is great, you will not be dissatisfied! Thanks"
♥ Texas44 "Amazing..... Brings back alot of memories!" ♥ Nacl143 "Absolutely FABULOUS app!! Get it get it get it get it - seriously, stop reading this review, and go get the app NOW!!" 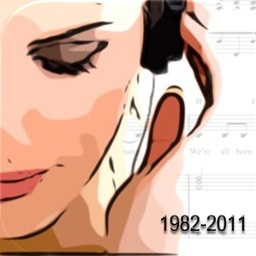 -Hear thousands of the greatest songs of all time. 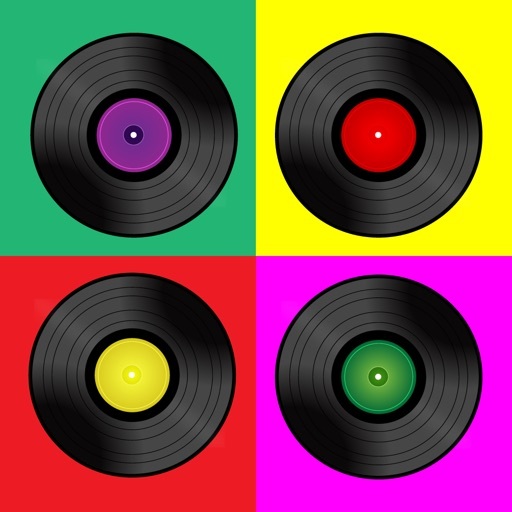 Hard Rock, Metal, Country, Disco, Latin, French, Movie sound tracks, Blues, Reggae, Alternative, Funk songs. The complete collections of all songs all sorted by year, musical gender, popularity and recordings. Music Hits JukeBox requires a connection to a 3G, Edge or a Wi-Fi network to stream the music to your iPhone or iPod Touch. You also need be running iPhone OS 4.0 or later on your iPhone or iPod Touch. 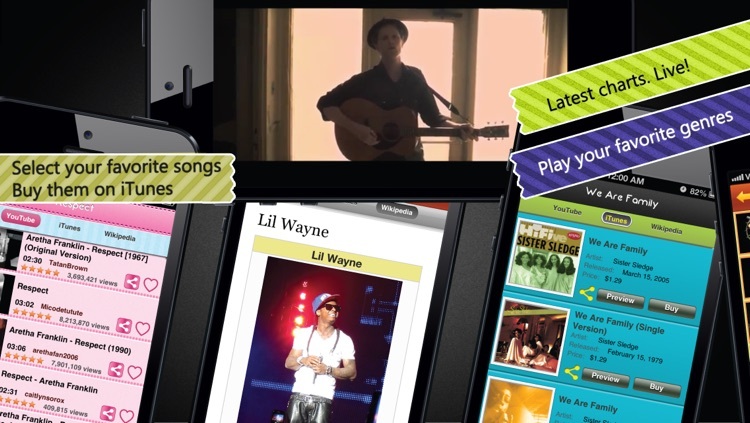 This music package combines iTunes, YouTube, and Wikipedia and let’s you customize the jukebox to your liking. Listen to hits dating back to the 1940s!